NOW.... there's a poster with EVERYONE on it....good! Unfortunately, it's NOT one of the better ones....oh my! To be honest, I appreciate the efforts of each and every fan who takes the time to create an unofficial poster for each of these concerts.. It's quite honestly a true labor of love for Queen + Adam Lambert and a courtesy for the rest of us fans. Albert (the creator & photographer of this poster) is a massively dedicated fan and I extend my many thanks to him, as well as the other fans who we have featured here in the past and in the future.. And I love that we have these posters to highlight the "INFO" I post here on the blog before each concert. Makes my "job" as an admin on Adam Lambert 24/7 News just that much easier! Well spoken, Glitzylady....and rightly so! 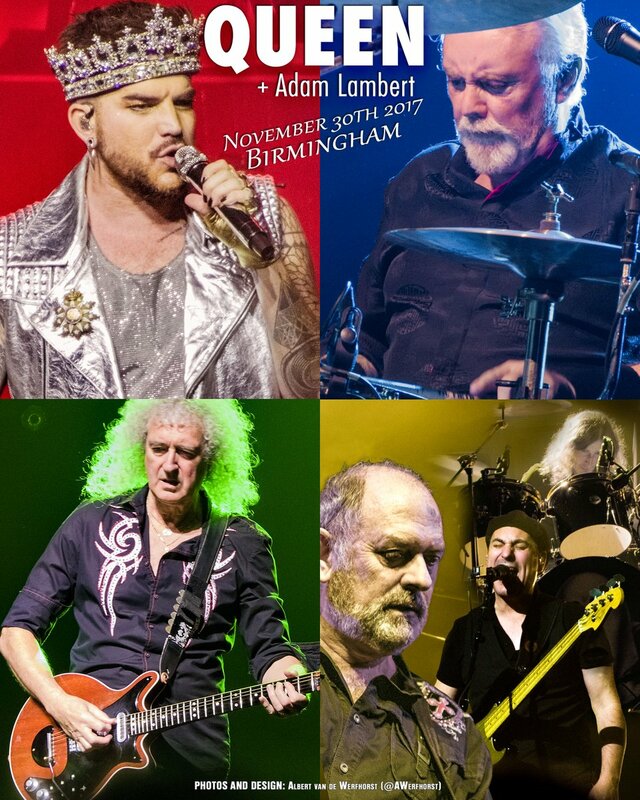 Thanks for pointing out the "true labor of love for Queen and Adam Lambert and a courtesy for the rest of of us fans". I apologize if I've offended the creator/photographer....I SHOULD have pointed out that his photos on that poster were excellent, and appreciated.....but I failed to do so. Mea Culpa! And I also failed to mention that I made a copy of that poster to add to my memorabilia....I was especially happy to see Spike and Neil well depicted... they DO usually get "short shrift", IMO.